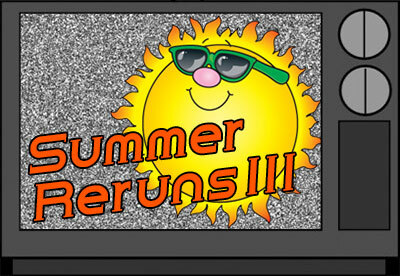 Our summer Reruns continue this month with offerings from June and October of 2007. June 2007: Frame your subject in a flattering way. Occasionally customers ask me to edit interviews they’ve shot themselves. I’m only too happy to help them turn their raw interviews into more polished videos. Unfortunately, I can’t do much about the picture quality, which usually suffers from insufficient lighting and hollow, low-level sound. Most of the time, there’s also a third problem: shot composition. Now, even if you don’t want to bother with lights and you’re happy with the sound off your camera’s on-board microphone, the one thing you can do to flatter your subject is to properly compose your shot. Very simply, shot composition is the way you frame a picture. For some reason, many amateur videographers frame their subjects very widely. A wide shot showing the interview subject from head to toe can certainly serve to introduce your subject and his/her location, but it doesn’t bring a quality that’s desirable for a conversation, either in person or on video. That quality is intimacy. Think about it. During most of your conversations, you’re only a few feet away, at most, from the person to whom you’re speaking. While you’re conversing, you’re looking in each other’s eyes and reading facial expressions. These visual cues, in addition to the content of the conversation, draw you in and help maintain your interest. You should strive to provide viewers of your video interviews with this same “up close and personal” experience. The widest you should frame your subject is from the waist up. At the beginning of the interview, pick three focal lengths – medium (from the waist up); medium close up (from the chest up); and close up (from the neck up). Switch between these shots while you ask your questions to give your interview some much needed visual variety. Place your camera lens at your subject’s eye level. Unless you’re going for some kind of special effect, don’t place your camera too high or too low in relation to your subject. Remember, when we’re seated we’re all at about the same eye level. It’s more natural when you frame your shot this way. If you’re the interviewer, get someone else to run the camera. This way, you can focus on the content of the interview while someone else pays attention to the composition. It’s very tough to do both things at once. October 2007: True stories of the unexpected benefits generated by video biographies. Inspiring a new interest in family history. Finally telling the full story. Every video biography project Family Legacy Video undertakes results in benefits like those above. So don’t wait – get started on your family video biography project today. The benefits, both apparent and unexpected, will thrill you.